My computer only has a single user that is used for normal log in. On boot, it would be convenient of the system would log in that user automatically, and then optionally, lock the screen, such as by launching a password protected screen saver. Set your user for automatic login in System Settings -> User Accounts -> Automatic Login (you will need to press the "unlock" button and enter your password before you can change the automatic login setting). 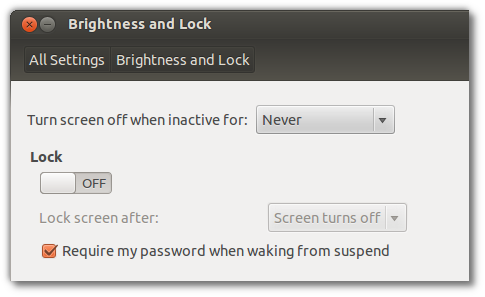 The command gnome-screensaver-command -l will cause the screen to be immediately locked, which can probably be added to your autostart items. And hopefully it will automatically login and then lock the screen. What you ask is almost a normal setup. 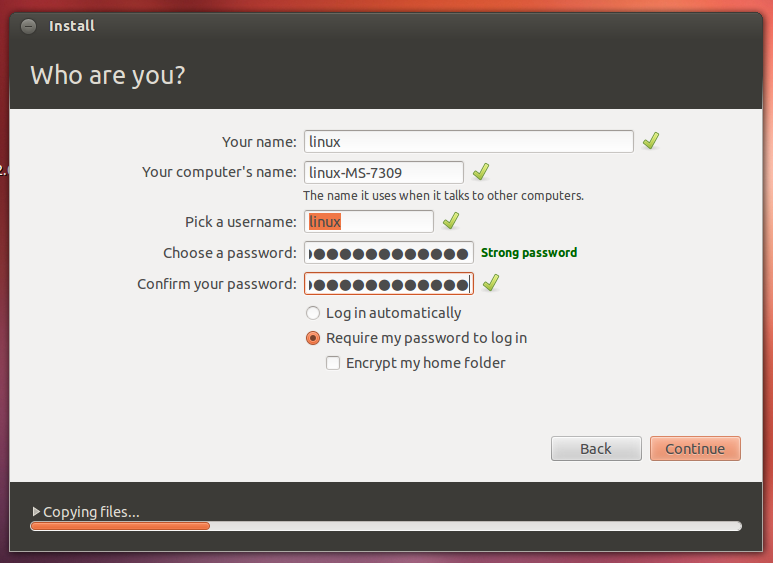 During installation you get asked to insert a password and can choose to have that user log in automatically. This image shows the checkbox as off (You can not use automatic log in with an encrypted home). It is about not setting the lock but you just have to set it the other way. On re-boot, it will auto-login and immediately lock the screen for whatever user you set up in /etc/gdm3/custom.conf. Not the answer you're looking for? Browse other questions tagged auto-login or ask your own question. How do I disable the screensaver/lock? 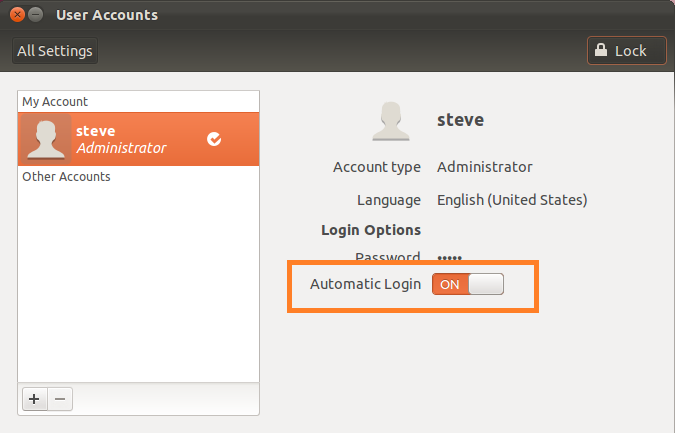 How do I set automatic login in Ubuntu 12.10? Is it possible to add a GRUB profile to auto-login a user and start a script (15.10)? Use Luks password for login?